Paul brings more than 20 years of experience managing all aspects of computer, network, server, cloud server, security, and data integrity operations. He is proficient managing all versions of Windows, Windows Server, SQL Database Server, and Cloud Server platforms, as well as Mobile Tablet configuration and management. 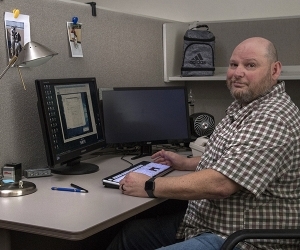 Paul has built or configured and administered hundreds of workstations, workgroup servers, cloud servers, and mobile devices, for clients from 1 user to 125+. Paul hold computer technician certifications, and continues to stay current with the endless stream of client and server operating system versions. His wife is a San Diego County Sheriff’s deputy, and they are avid Jeep drivers and Husky parents.